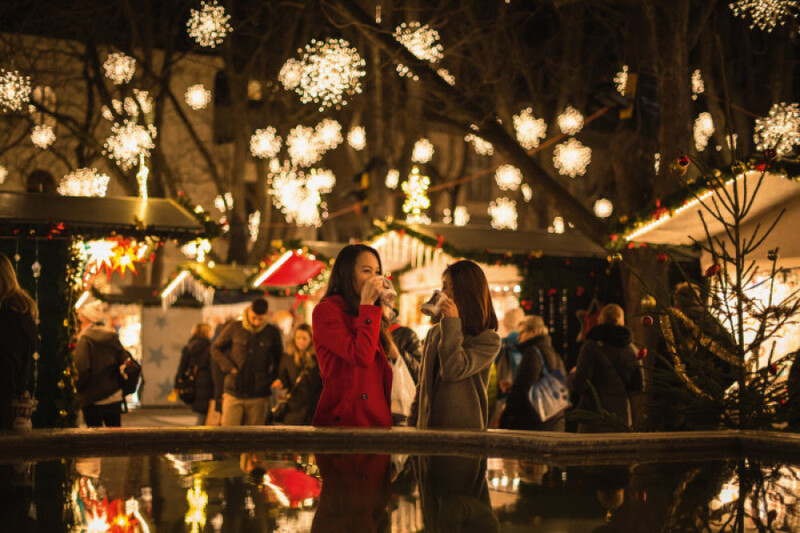 © Switzerland Tourism / Andreas Gerth Basel's Christmas market at Barfüsserplatz and Münsterplatz is one of the best in Switzerland. 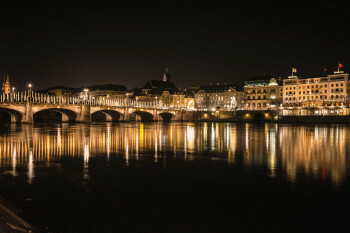 The delicious smell of roasted almonds, mulled wine, and other regional treats lures thousands of visitors into Basel's city centre every year. 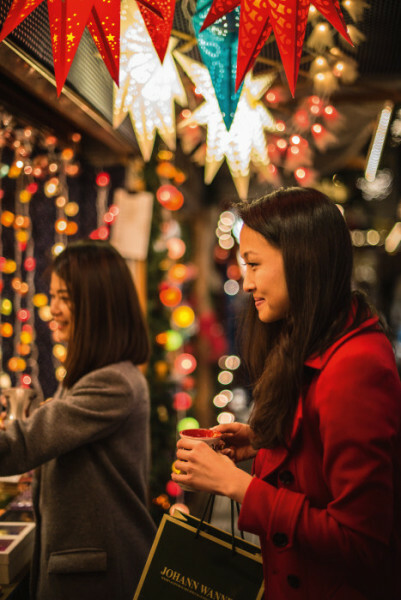 The historic old town with its festive decorations invites its guests to discover the diverse offer at one of the largest, most beautiful Christmas markets in Switzerland. Over 180 merchants and craftsmen offer their goods at the booths at Barfüsserplatz. Kids can make candles at the enchanted forest at Münsterplatz, craft torches, try their hand at forging, or have some hot chocolate. 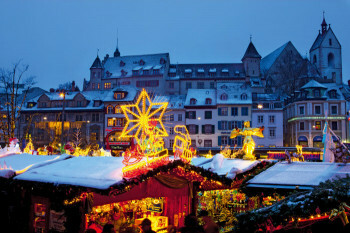 Further culinary delights to indulge in can be found at Claraplatz and at Quartier Christmas Market on Rheingasse. 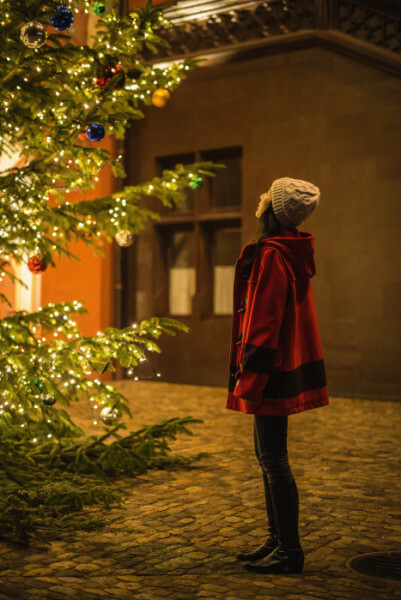 Thanks to the "Adväntsgass im Glaibasel" you will find holiday cheer as well as peace and quiet here. 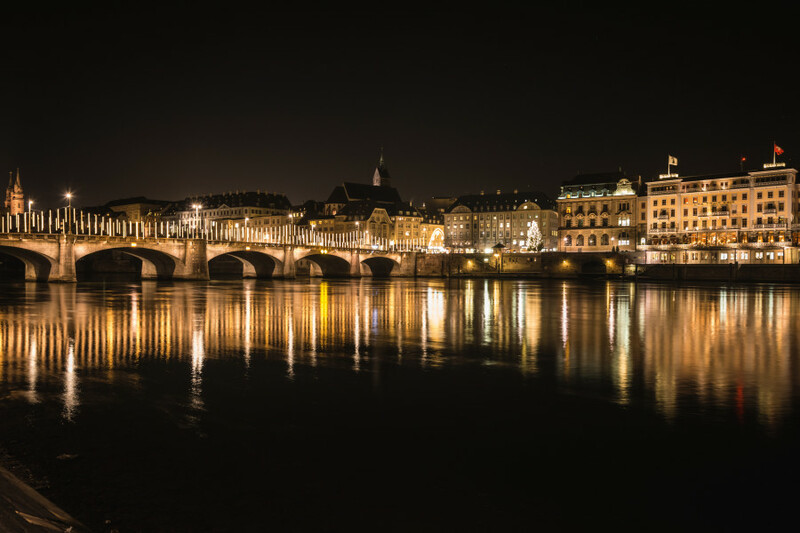 © Switzerland Tourism / Andre Meier At Christmas time, the city has a special glow about it. Coming from Zurich, follow motorways A1 and A3 and exit at 5-Basel-City. There is a number of car parks in the city, some of them fairly close to the market. Coming from Freiburg im Breisgau follow motorway A5 until exit 3-Basel-Wettstein.